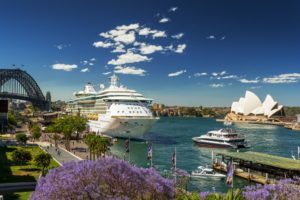 This article below provides you a list of handy resources while in Australia or while planning for the move to Australia. Requirements such as housing, childcare, job search, transportation etc. are important aspects you need to sort out and hopefully the information below proves handy while moving to Australia. Real estate costs is a very important consideration if you are thinking of moving to Australia, specially moving to Sydney or Melbourne. The high rental costs can be a strain to your budgets. Finding the right childcare centre , preschool or after school care is important and its always handy to have a tool which allows you to search for childcare near your planned residence or work address. (Spot A Childcare) is one such website which helps you search for childcare centres in your area and also displays vacancies, their quality ratings and provides an easy option to get in touch with a Childcare provider. An alternative option to a formal childcare centre is the family day care option. Family Day Care is an approved form of child care that is provided in the family day care educators own home. The website ‘Spot A Childcare’ (www.spotachildcare.com.au) also lists family day care, preschool and after school care. Searching for jobs is done usually online or through recruitment agencies. Online options include Linkedin and seek.com.au . Many candidates move to Australia after being offered a job. Most Australian cities have good transport infrastructure. There are many ways to plan your transportation trips online and various state governments have their online portal which lists transport options when you provide you’re from and to plans. Additionally Australian cities are well connected by roads and air transport. Major airlines such Qantas, Virgin, Jetstar, Tiger Air operate on most routes. Driving in Australia is fairly standard with well-maintained roads and good street signs. Similar to most Commonwealth nations, cars are driven on the right side of the road. Tipping is not expected in most restaurants other than some fine dining restaurants. It’s only customary to tip if you have had an excellent experience in a restaurant. If you are moving to Australia as a student, checkout the article ‘New National Code of Practice for education providers . Im interested and like to know how todo. Thanks for sharing the http://www.spotachildcare.com.au website. Great resource. Also good selection of information for anyone wanting to move to Australia.